Since, the launch of the Samsung Galaxy S8 and S8 Plus one of the biggest complaint that tech community and others are pointing out the ability, not to remap the Bixby (Samsun'g Voice or Virtual Assistant) to Google Assistant. You May Like: 10 Cool Google Asistant Tricks and Commands. If you don't know the Galaxy S8 and S8 Plus has both the Bixby and Google Assistant, that it self is something that Samsung did which was confusing. But no worries, a Redditor named Dave Bennett took is coding sword out and decided to write a basic app to bypass Samsung's barricade and simply launch Google Assistant over Samsung;s Bixby. If you happen to have a Galaxy S8 or S8 Plus and use this app, you will notice whenever the button is pressed, a quick flash of Bixby appears before Assistant. You don't need Rooting, no ADB (Android Debugging Bridge) command. 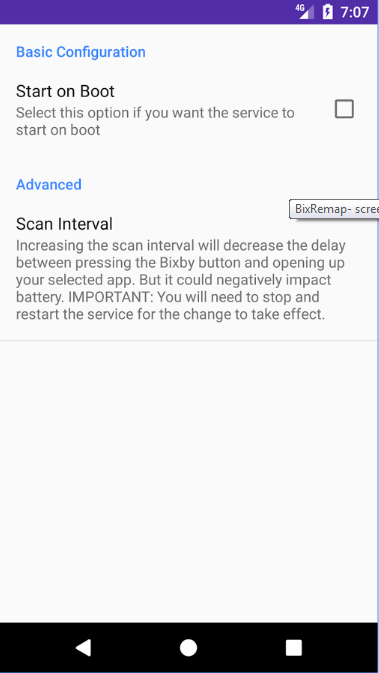 Just install the "BixRemap" app from Play Store and turn on the app.